The EOs are already causing great confusion and alarm within the immigrant community. We have seen EOs implemented immediately, leaving many individuals traveling outside of the United States suddenly unable to return or enter this country. There are additional immigration-related EOs that are being circulated by credible sources and we are concerned about the possible impact of additional EOs on immigrants within the United States and those traveling abroad seeking to return to the USA. At this time, the situation remains very unpredictable. In consideration of the EOs currently in effect, as well as EOs that may be signed in the near future, we would like to provide some recommendations. Please do note that these recommendations may change quickly. The situation remains very fluid. We encourage all of our clients and their families to "like" our Facebook Page, follow us on Twitter, and regularly monitor our website, www.kolkoassociates.com. We post updates on those sites daily. 1) Nonimmigrants from Syria, Sudan, Somalia, Libya, Iraq, Iran or Yemen: If you are a foreign national (including dual nationals and dual citizens) of Syria, Sudan, Somalia, Libya, Iraq, Iran or Yemen living, working, or studying inside the United States on a valid visa or nonimmigrant status, you should not travel outside of the United States at this time. If you travel outside of the United States, even if you hold a valid visa, there is a high likelihood that your visa will be cancelled, and you will not be permitted to return to the United States for at least 90 days. 2) Lawful Permanent Residents (Green Card holders) from Syria, Sudan, Somalia, Libya, Iraq, Iran or Yemen: If you are a lawful permanent resident of the United States and a national of Syria, Sudan, Somalia, Libya, Iraq, Iran or Yemen, we recommend that you defer non-essential travel outside of the United States for at least 90 days. If you must travel outside of the United States, please be aware that you will be subject to secondary inspection upon your return to the United States and undergo "enhanced screening" before you can be admitted into the United States. This may include a review of social media and questioning regarding religious, social and political views. 3) Foreign Nationals from any country residing in the United States with an Advance Parole Travel Document: If you are a person living in the United States and have an Advance Parole Travel Document (I-512), we strongly recommend that you do not travel outside of the United States at this time. This applies to all individuals from any country in the world. It is common for individuals in the United States with pending applications for adjustment of status to have Advance Parole Travel Documents to allow them to travel outside of the United States while their application is pending with the U.S. 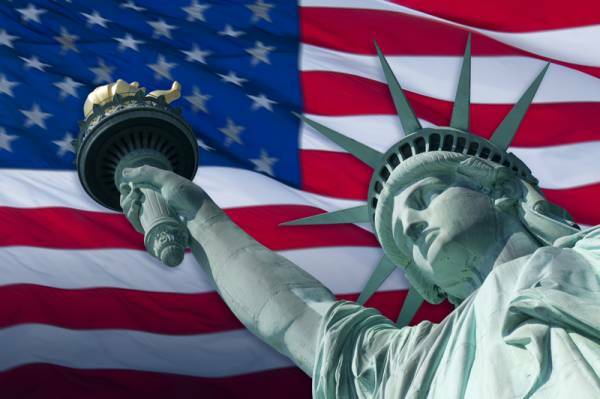 Citizenship and Immigration Service (USCIS) and the return to the United States. Many individuals on Deferred Action for Childhood Arrivals (DACA) may also have Advance Parole. A draft Executive Order that is being widely circulated calls into question whether or not individuals seeking entry into the United States on a parole document will be permitted to enter the United States. This Executive Order is only in draft form, and is not yet in effect. However, in light of what we have seen with other Executive Orders over the last week, we are concerned that individuals traveling outside of the U.S. and seeking entry on Advance Parole may not be permitted to enter. Therefore, we are recommending that individuals with Advance Parole remain in the United States and defer any travel outside of the United States at this time. 3) Nonimmigrants from countries other than the seven listed above: If you are a foreign national from any other country (Syria, Sudan, Somalia, Libya, Iraq, Iran or Yemen) living, working, or studying inside the United States on a valid visa or nonimmigrant status, we recommend caution with any international travel and that you defer any non-essential travel outside of the United States for the time being. We understand that this is a conservative recommendation. We hope this recommendation will change soon. If you are a client of our office and must travel outside of the United States, please let our office know your travel dates, be sure you have your passport, visa and evidence that you are maintaining valid immigration status (i.e., a letter confirming current employment from sponsoring employer with recent paystubs; or if a student, a current, valid form I-20 with recent transcripts). 4) Individuals in the United States without lawful status: If you are in the United States without lawful immigration status, it is critical that you Know Your Rights in the event that you are detained by ICE or the police, or if you are questioned about your immigration status. We also strongly encourage all individuals who have resided in the United States for more than two (2) years to gather evidence of their continuous physical presence in the United States for at least two (2) years. Individuals who have been in the United States for more than two years cannot be subject to Exepdited Removal (a rapid removal without the right to a hearing before an Immigration Judge).